MANILA, Philippines — The head of a Philippine online news site that has been critical of President Rodrigo Duterte pleaded not guilty Wednesday to tax violation charges, among the legal issues she says are part of government moves to muzzle critical media. The Securities and Exchange Commission has separately revoked Rappler's license over what it ruled was a breach of a constitutional ban on foreign ownership of media. 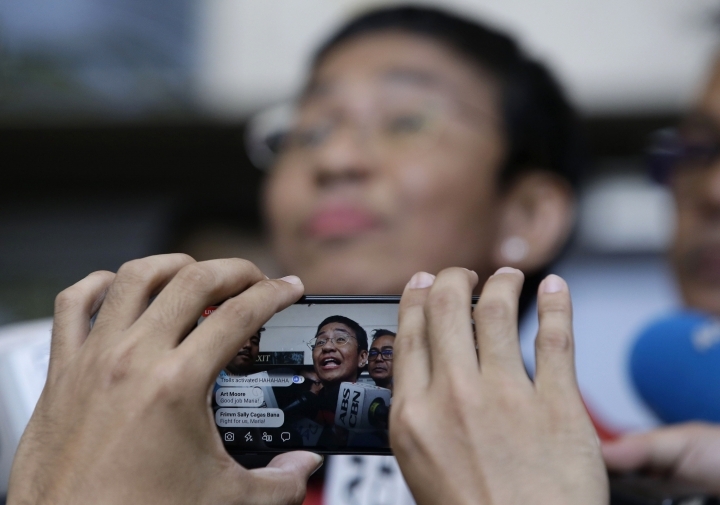 Ressa has been arrested twice in the last two months for a charge related to Rappler's acceptance of Omidyar's investment and a libel complaint filed by a businessman who accused Rappler of linking him to illegal drugs, human trafficking and murder in a report without getting his side or citing evidence.